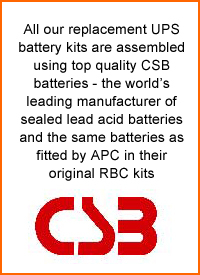 This is a pack of 10 CSB HR1234W Sealed lead acid batteries. 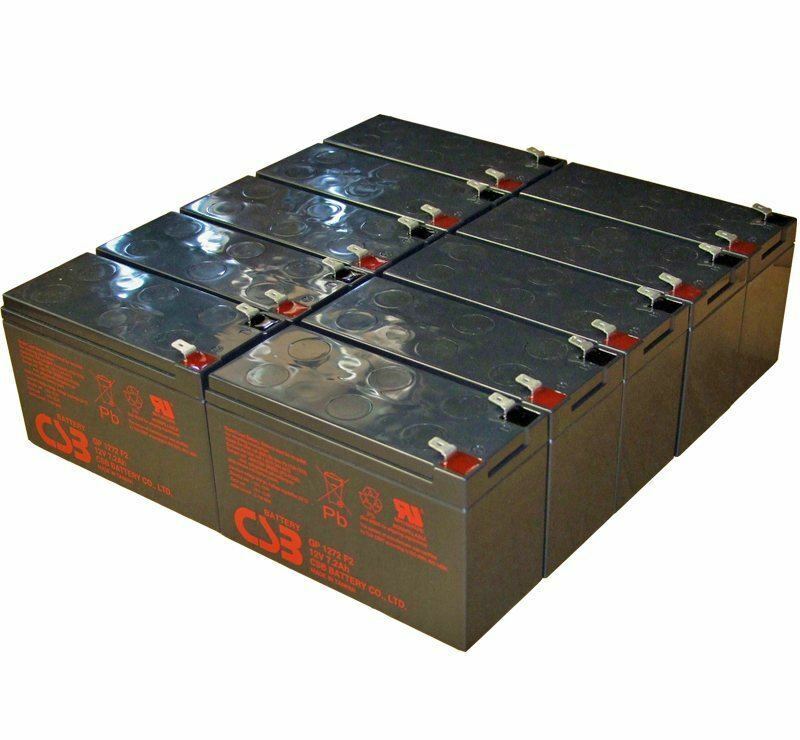 These UPS may use more than 1 battery set please double check how many battery sets are required in your model. 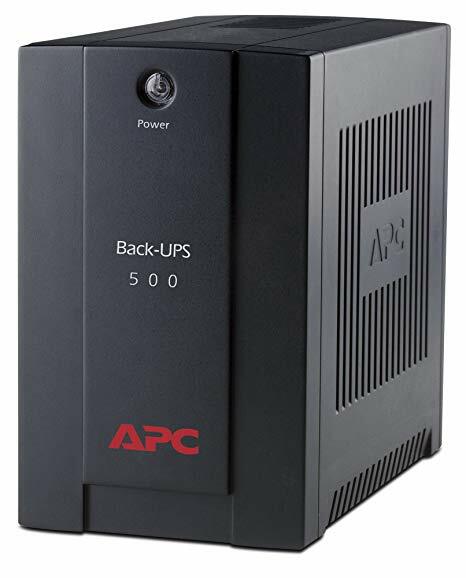 All MDS replacement UPS battery kits are assembled using high quality sealed lead/acid batteries manufactured by CSB which are fitted by APC in both new equipment and also replacement battery cartridges.